This is a focused Fund that invests mainly in small- and mid-sized U.S. companies with significant growth potential. A substantial percentage of the Fund's assets are in its top 10 holdings. Non-diversified. The Overall Morningstar Rating for a fund is derived from a weighted-average of the performance figures associated with its three-, five- and (if applicable) ten-year ratings. For the period ended 12/31/2018 the Baron Focused Growth Fund was awarded 4-star Morningstar Rating for the 3-year and 3-star for the 5-year. Morningstar 3-year star rating is based on risk adjusted returns with 542 funds in category; and 5-year star rating is based on risk adjusted returns with 489 funds in category. Except for Standard Deviation and Sharpe Ratio, the performance based-characteristics above were calculated relative to the Baron Focused Growth Fund's(BFGIX) benchmark (Russell 2500 Growth Index). Performance statistics for additional periods will be provided on request. Source FactSet: SPAR. Vail Resorts, Inc. (MTN) is the largest operator of ski resorts in the U.S. It owns 20 resorts in the U.S., Canada, and Australia, including Vail and Breckenridge in Colorado, Whistler Blackcomb in Canada, and Stowe in Vermont. Its RockResorts brand offers luxury ski lodging properties. Most of Vail's revenues come from its ski resorts. The company has been upgrading its properties to offer new and higher quality services and amenities and summer recreational activities, which we believe should help attract more visitors and allow it to continue to raise lift ticket prices. Vail is also focused on increasing season-pass sales and has been acquiring resorts to enhance the attractiveness of its multi-resort season pass. The company generates strong free cash flow that it is using for increased dividends, debt reduction, and share buybacks. Hyatt Hotels Corp. (H) is a global hospitality company with 843 Hyatt-branded properties representing 208,207 keys. The company's brands include Park Hyatt, Grand Hyatt, Hyatt Regency, Hyatt, Hyatt Place, and Hyatt Summerfield Suite. We believe Hyatt has a significant opportunity to market more of its brands globally, given an undersupply of rooms in developing countries. Compared to its competitors, Hyatt has the least brand penetration across the globe and the largest pipeline of unit growth. We believe its new online availability of rooms and strong balance sheet, coupled with the continued recovery in the global lodging industry, give Hyatt an opportunity to generate strong growth. The resulting potential increased cash flow could be used for continued share repurchases and further acquisitions. Iridium Communications Inc. (IRDM) provides mobile voice and data communications services to businesses, governments, and consumers, using a constellation of low- earth orbiting satellites. We believe Iridium's assets are hard to replicate. They are capital intensive and complex and provide the company with the unique ability to cover the entire globe. The company's recurring voice business is stable and provides steady cash flow. In our view, Aireon, Machine to Machine, and other new products should allow Iridium to substantially grow its cash flow, reduce leverage, and create significant shareholder value over time. FactSet Research Systems, Inc. (FDS) provides financial information to the global investment community. FactSet serves only a small part of the addressable market, which we estimate is roughly $20 billion annually. The company has been taking market share and offering broader data sets and more advanced portfolio analytics than its competitors, and has a highly regarded customer service model. FactSet has also been expanding into the fixed income and wealth management markets. Its products are sticky, leading to retention rates of over 95% and high visibility. FactSet generates robust free cash flow, which it has returned to shareholders via share repurchases and dividends. Choice Hotels International, Inc. (CHH) is one of the largest hotel franchisers in the world, with 6,922 hotels and an additional 1,050 properties under development. Its franchise contracts are long term, with many as long as 20 years. Brands include Quality Inn, Comfort Inn, ComfortSuites, and Sleep Inn. Choice has a strong franchising business with recurring revenue. It has demonstrated consistent profitability across up and down cycles through increased rates and occupancy, new unit growth, and increased royalty rates. The company has a strong pipeline of new hotel franchises and is looking to expand the number of upscale brands in its portfolio through acquisitions and new brand creations like Cambria Suites and Ascend Collection. It is also selling its systems to third-party hotels, which we think will generate significant income over time. Benefitfocus, Inc. (BNFT) is a leading provider of cloud- based benefits software for consumers, employers, insurance carriers, and brokers. The company offers an integrated suite of solutions to help customers more efficiently shop for, enroll in, manage, and exchange benefits information. Benefitfocus is modernizing the benefits administration process, resulting in lower health care costs, lower administrative costs, and higher employee satisfaction. The company serves less than 1,000 of 18,000 domestic employers and can continue to sell more modules to existing customers. The company now boasts over 20 million users on its platform and can help enable insurers reach these potential consumers in a lower-cost, higher-conversion model than traditional brokers. We think the company is scaling well, and margins should expand meaningfully over time. Space Exploration Technologies Corp. (SPACEX.A) is a private company that designs, manufactures, and launches rockets and spacecrafts into space. SpaceX is aiming to revolutionize space technology, including reusable orbital launch systems. We believe SpaceX could leverage its unique inventory of reusable rockets to reduce the costs of space launches, capture a growing portion of the available addressable market, and continue to build a track record of success. As launch costs decline, we believe more companies will offer services with space capabilities, increasing the need for rockets. With low launch costs, we expect SpaceX to have an advantage in building its new constellation of satellite-based broadband services. Manchester United plc (MANU) is an English Premier League professional sports team. The team generates revenue from broadcasting, sponsorship, and licensing. Manchester United is a global brand with a proven history of success. Our investment is based on our belief that the team will benefit from more robust monetization of its global audience, an estimated fan base of 659 million people; expanding pay TV rights; and new, high margin revenue streams, including global licensing, e-commerce, and subscription services. 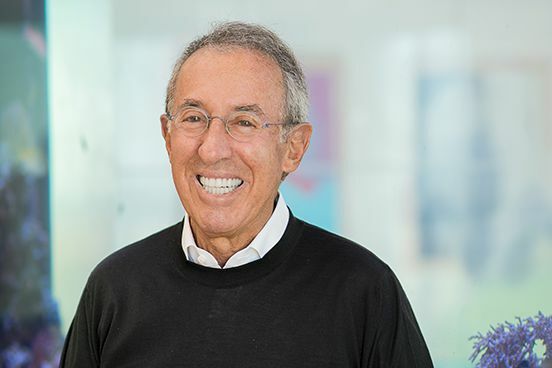 On March 14, 2019 Ron Baron appeared on CNBC’s “Squawk Box” to give his thoughts on companies disrupting their industries. To view the full segment, visit www.cnbc.com. Baron Capital is pleased to announce the addition of co-portfolio managers for Baron Growth Fund, Baron Partners Fund, and Baron Focused Growth Fund, effective August 28, 2018. 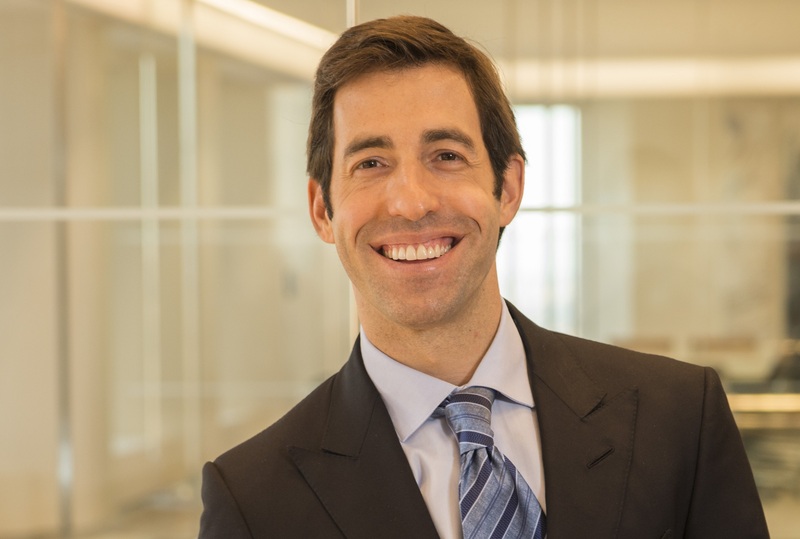 Neal Rosenberg, Michael Baron, and David Baron will each join Ron Baron as a co-portfolio manager for Baron Growth Fund, Baron Partners Fund, and Baron Focused Growth Fund, respectively. Ron Baron Appears on CNBC's "Squawk Box"
Baron Capital CEO and Chief Investment Officer Ron Baron appeared on CNBC's "Squawk Box" on May 14 to discuss his long-term outlook on stocks and the U.S. economy. Watch all segments of the interview here, here, and here. In a recent interview with The Wall Street Journal, Ron Baron talked about what makes his investment process distinctive. Read the interview at www.wsj.com (Subscription required to access). We are pleased to announce that David Baron has been appointed to the position of Assistant Portfolio Manager for Baron Focused Growth Fund. We view the role of assistant portfolio manager as a stepping stone to co-management and ultimately portfolio manager. David will also continue in his current role as research analyst. He has served as research analyst, studying leisure, gaming and entertainment, resorts and real estate businesses for thirteen years. For more information, please contact us. RISKS: The Fund is non-diversified, which increases volatility of the Fund’s returns and exposes it to greater risk of loss in any given period. Specific risks associated with investing in small and medium-sized companies include that the securities may be thinly traded and more difficult to sell during market downturns. Definitions (provided by BAMCO, Inc.): The indexes are unmanaged. The Russell 2500™ Growth Index measures the performance of small to medium-sized companies that are classified as growth, and the S&P 500 Index of 500 widely held large-cap U.S. companies. The indexes and the Fund are with dividends, which positively impact the performance results. Index performance is not fund performance. Investors cannot invest directly in an index.